I have built a career helping business-to-business and government focused companies connect, communicate and engage in social and digital environments. Yet, I’m often reminded of the unique power and influence of in-person interaction. Ultimately, people do business with people who they know and trust. Relationships are effectively forged face-to-face. 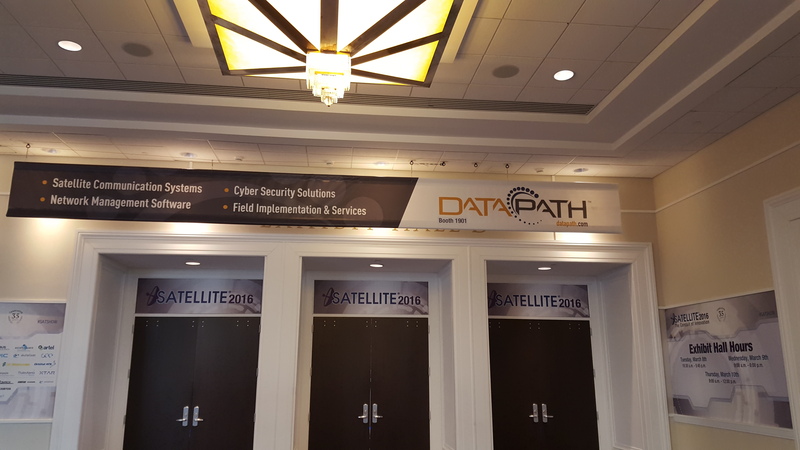 Included below are photographs taken at the Satellite 2016 conference, held at the Gaylord National Convention Center in National Harbor, Maryland. Nearly 15,000 corporate, business development, sales and product executives from satellite providers and users across the globe gathered to network, share best practices and conduct business. While content, social and digital are musts for the modern marketer, profile industry events continue to prove out their relevance. 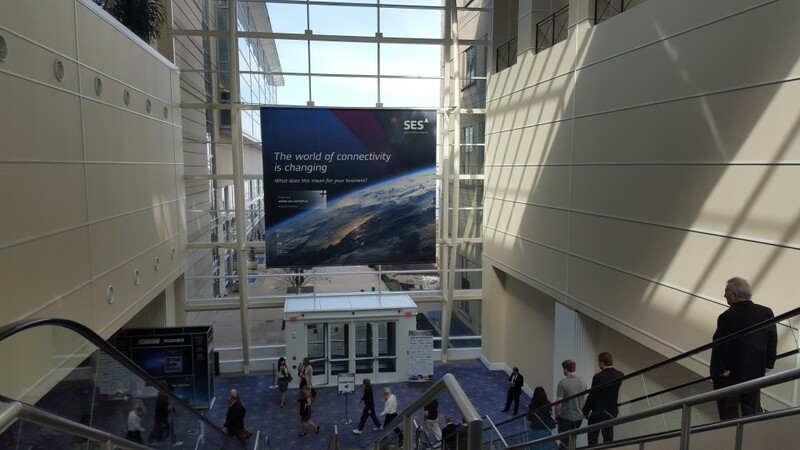 Strategic Communications Group (Strategic) client SES maintains a leadership standing in the industry. They’re back! Former client DataPath has a new private equity owner and they’re investing in the brand. 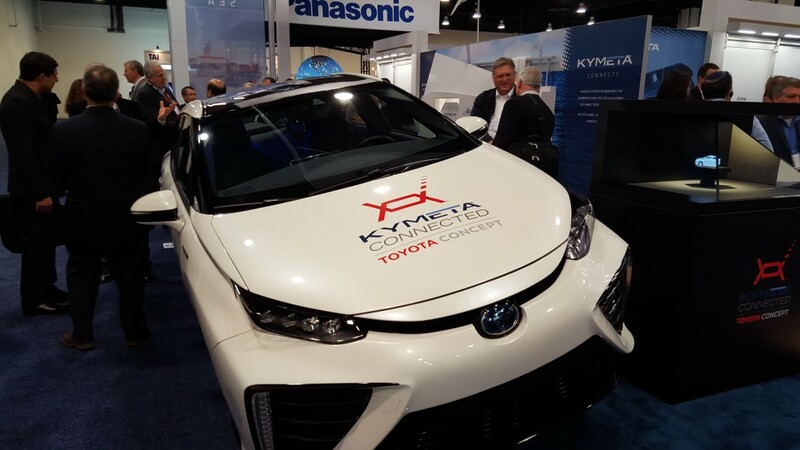 Kymeta’s “connected car” draws lots of admirers to the company’s booth. 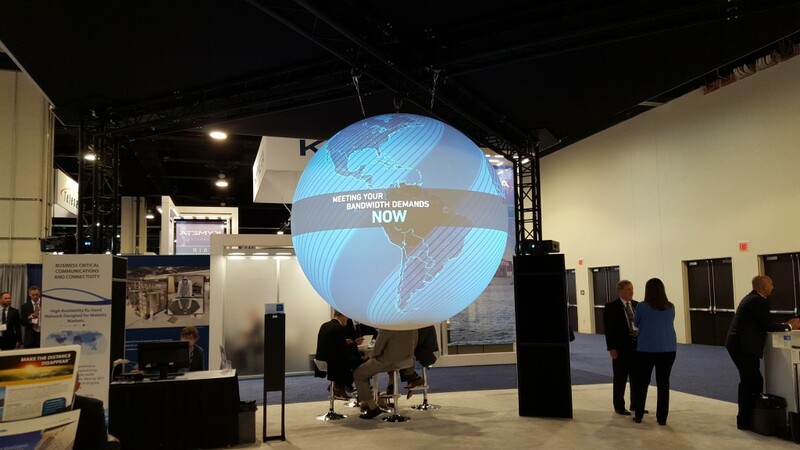 Panasonic’s booth sported a super cool, three dimensional globe. 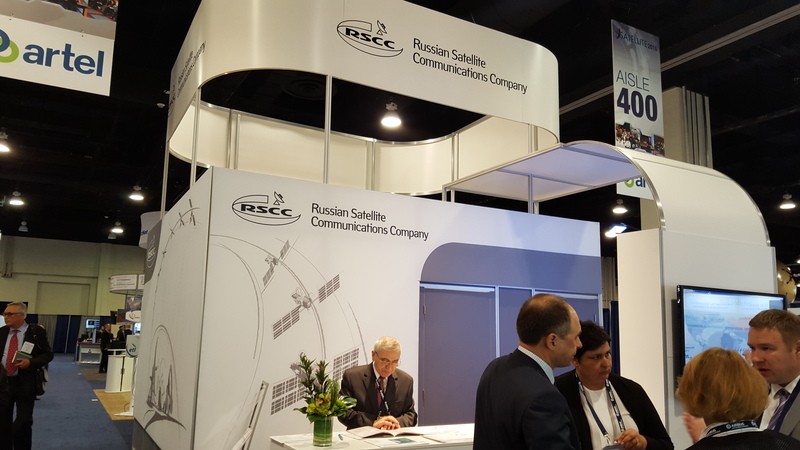 Satellite is truly a global industry. Regardless of political differences, US and Russian companies do business.